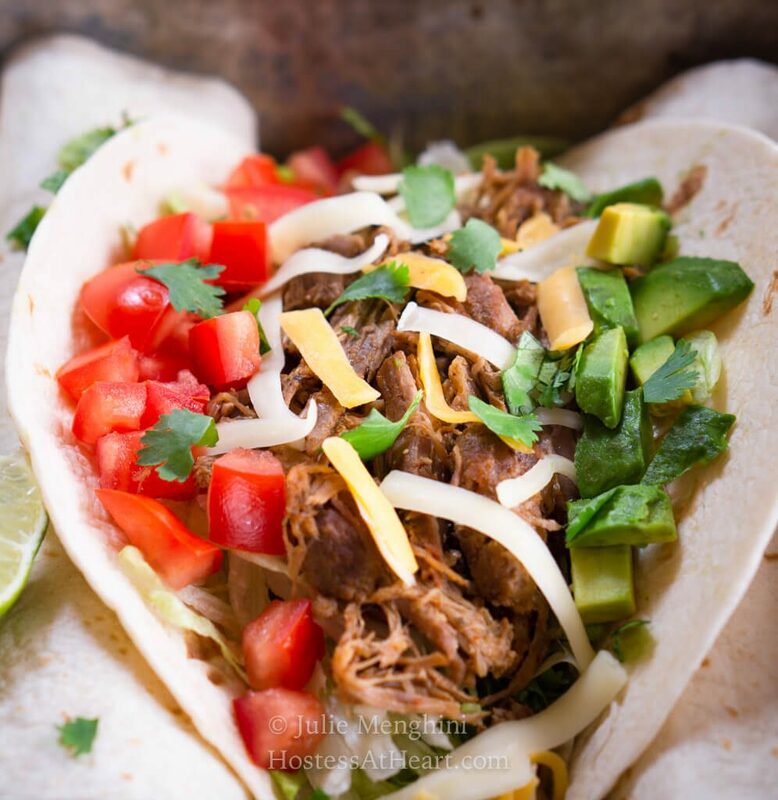 These Instant Pot Pulled Pork Tacos are cooked perfectly and the spices are fresh and delicious. They taste as if you cooked them all day instead of 45 minutes! 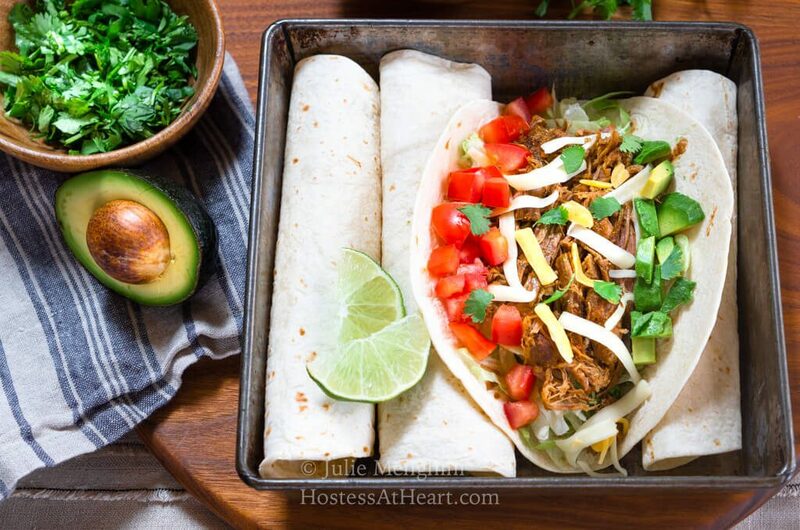 These Instant Pot Pulled Pork Tacos are absolutely delicious. If you would have told me that they only cooked for 45 minutes I would have thought you were fooling. They taste as if you braised them all afternoon. I can be a little (ok a lot) compulsive when it comes to kitchen toys. So last year when Amazon had their Black Friday sale I convinced myself that I couldn’t live without an Instant Pot. That’s pretty crazy considering one of my biggest phobias in the kitchen revolved around pressure cookers. I remember when I was a child, my grandmother often used her pressure cooker to cook those “old hens”. When we would run through her kitchen it would give off steam and hiss. She told us it would blow up if we didn’t slow down. So, the fear of blowing up my kitchen has kept me from ever using a pressure cooker! Even if I could get over the fear of an explosion, John thinks he doesn’t like food cooked in a slow cooker. So I did what every compulsive buyer does, I bought it! And, it sat on my shelf for almost a year except to cook boiled eggs. It cooks eggs PERFECTLY! John came home from the gym not long ago and said we were having friends over for the football game which started at 11:00 a.m! That meant instead of a few snacks we needed lunch and I had about 2 hours. You can whip up a lot of dishes quickly but I thought I’d finally give my instant pot an audition. My friends are often my guinea pigs so if it didn’t work we could always order a pizza. Tacos are super easy for people to serve themselves and instead of ground beef, I thought pulled pork sounded yummy. The store had a sale on pork butts (also called pork shoulder) but the smallest one I could find was almost 8 pounds! I cut it in half and then in about 4-inch pieces. The other half went into the refrigerator thinking I’d cook it up the next day. I didn’t bother searing the meat and just added the liquid and spices. This is a 30-minute meal that is so delicious and I couldn’t wait to share it with you. It was so juicy and so tender. 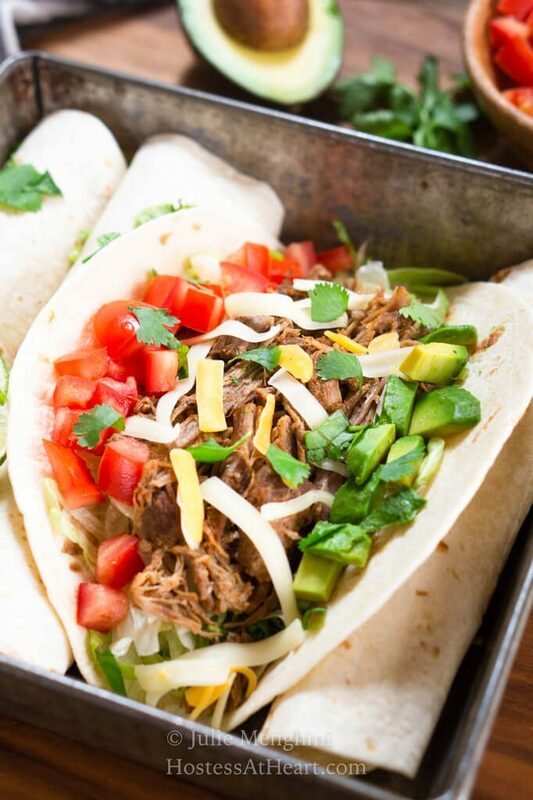 These Instant Pot Pulled Pork Tacos are cooked perfectly and the spices are fresh and delicious. It tastes as if you cooked them all day instead of 45 minutes! Add broth to the instant pot followed by meat and remaining ingredients. Make sure vent is closed. Secure lid and select manual button. Set time to 45 minutes. When time is over allow the instant pot to release pressure on its own for 15 minutes and then carefully turn vent to open to release any remaining pressure. Unlock the lid and remove meat with a slotted spoon. Shred pork with two forks. I like to leave large pieces in mine as well. 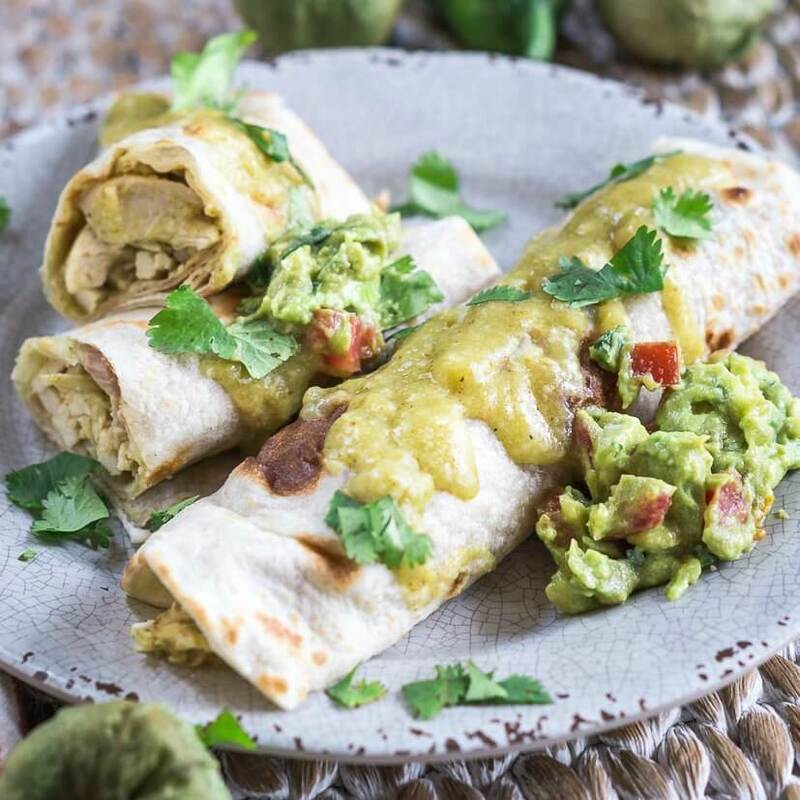 Serve with tortilla shells and desired taco garnishes such as tomatoes, lettuce, cheese, salsa, and cilantro. This meat came out so good that I cooked the other half the next day. Instead of broth, I saved a cup of the liquid from the first half that I cooked. I can’t wait to share that dish with you either. It’s safe to say that this Instant Pot intervention has cured me of my pressure cooker explosion phobia too! John and I love dishes with a Mexican flare. Here are a few that we love! Are you an instant pot lover? What’s your favorite was to use it? I love when Brooks makes his carnitas for tacos but it does take a few hours and I have to do all the hard part! 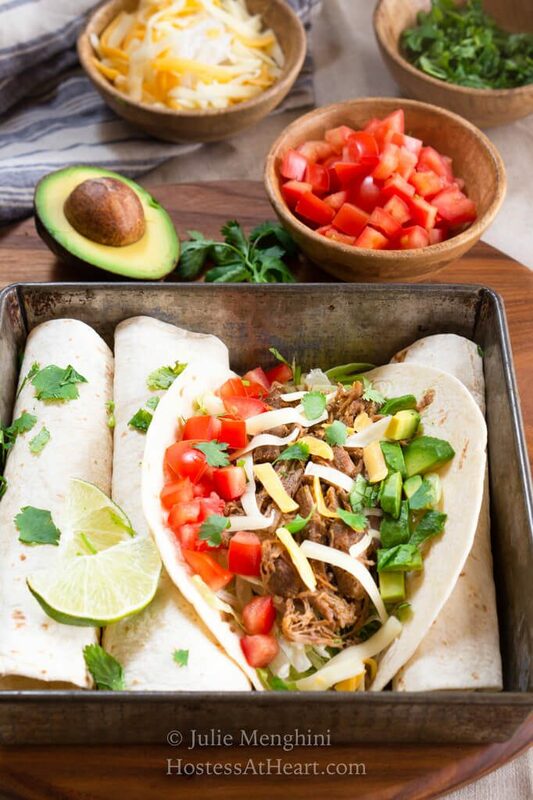 These instant pot pulled pork tacos look so much easier and quicker! Plus I don’t have to do all the work! Thank you! They are so easier and a lot quicker too. 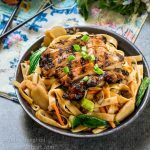 I am so in love with Instant Pot recipes, especially when they look this good!! Thank you! We really liked these tacos. Pork tacos are my FAVORITE!! You just gave me a new reason to break out my IP this week! Thanks!! Thank you, Michaela! I sure love mine and plan to use it a lot more. 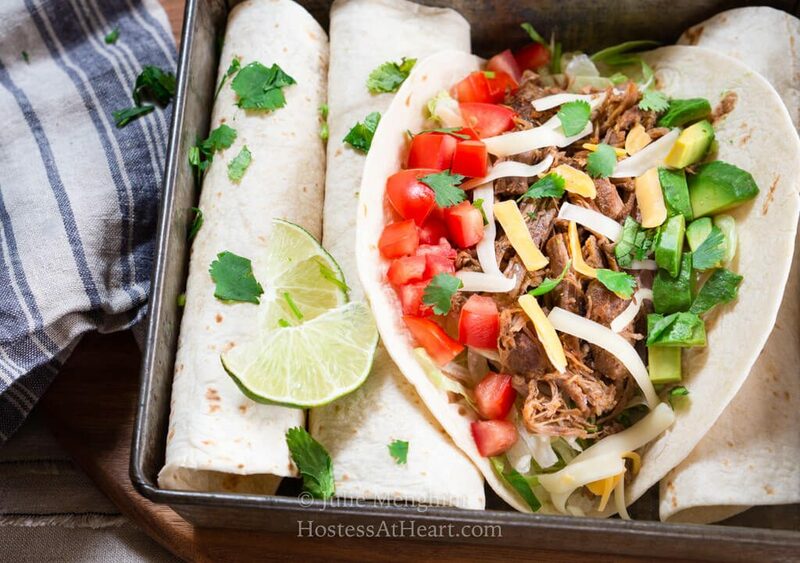 These have to be the perfect tacos! 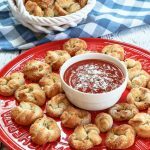 I love that they are made in an instant pot! We are both in the Instant Pot neglect category my friend! I, however, am changing my ways LOL! Yay! I have another Instant Pot recipe. Don’t you love that kitchen toy? 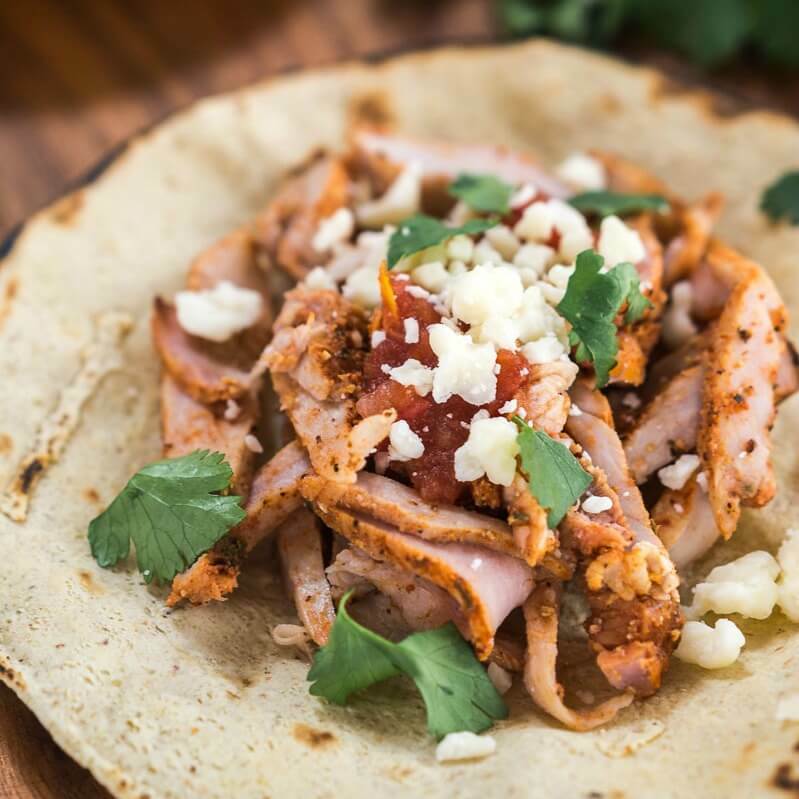 Every time I use it I am thrilled with the results and I know these pulled pork tacos are going to be devoured! Great recipe! Thank you, Sandra! I am loving it and will definitely be using it more. Y=The fact that I can make pulled pork in 45 minutes makes me super happy!!! I love my Instant Pot and use it all the time. This recipe is going into next week’s menu! Thank you! I’ll be using mine a whole lot more! All this talk about instant pot lately, and with tacos, it make so much sense. Unfortunately, it’s no legal in my state yet. Thank you! What not legal? Nebraska is very conservative and we can have our Instant Pots! Time to get up in arms Jeff! I’ll march with you! Free those appliances! Thank you, Danielle! Us Foodies have to stick together to justify our kitchen toys LOL! 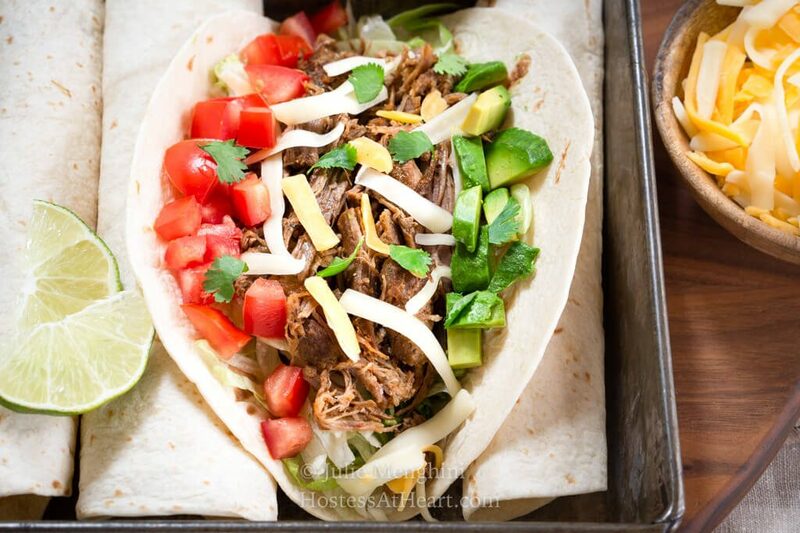 I love tacos and what a great idea to use pulled pork. 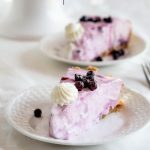 Sounds delicious but I will make mine in the slow cooker – no insta-pot yet! Happy Thanksgiving to you and your family Julie! Thank you, Judi! I hope you had a great Thanksgiving. We did and have another one this Sunday! Time to get out the stretchy pants LOL! 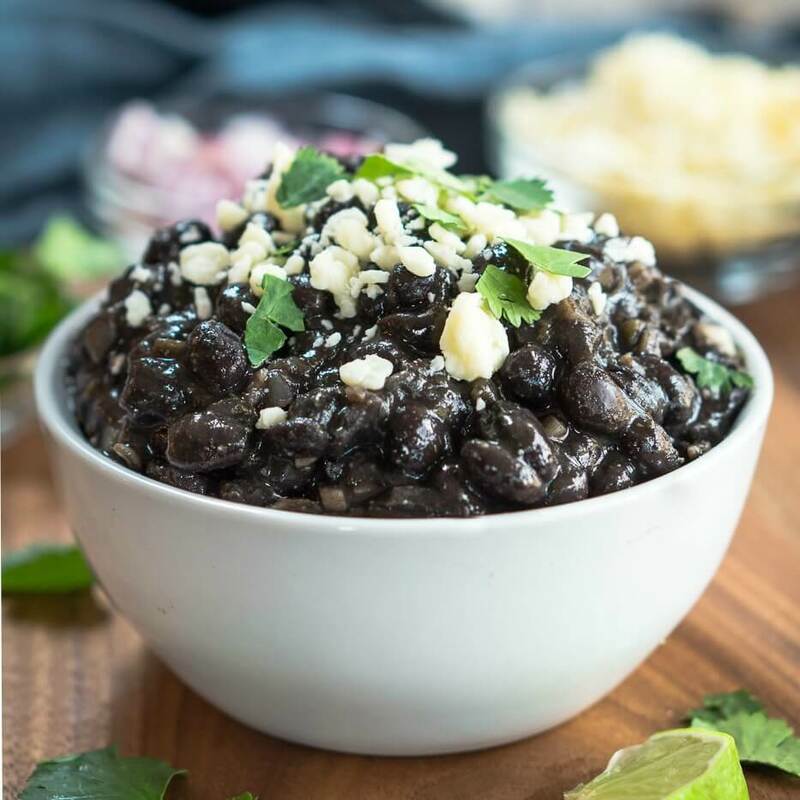 This recipe is reason enough to get an Instant Pot! 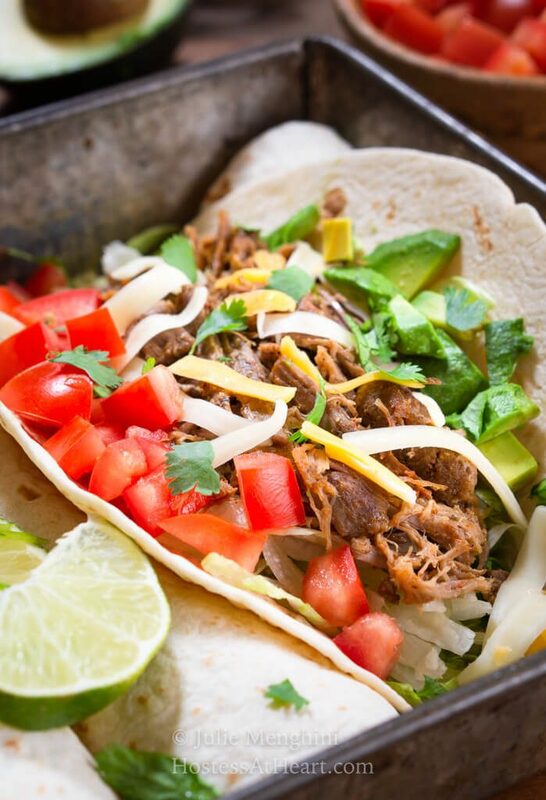 Perfect tacos in a short amount of time. Always a winner! Thank you, Liz! It is one of those appliances that I will get my use out of! I felt exactly the same about my electric pressure cooker, it sat in the garage for over a year. I don’t like pulled pork in the slow cooker and usually cook it in an oven for hours, this looks fast and easy. 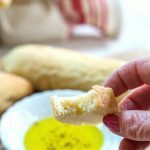 I’ve pinned it for after the holiday, it will make wonderful leftovers. Thank you Liz! I hope you have an amazing holiday and hope you will let me know how your tacos go. Thank you for posting this, they look so yummy! Great dish for your first time use Julie (besides eggs) . I didn’t realize you too had an instant pot. I’ve seen it all over now and am so tempted, but I know since we downsized there would be no room to store yet another appliance I do cook my pork butts in the slow cooker. Bert Loves pork and he is a happy camper when I make it. Like that you made these tacos, such a great idea. I love your recipe too. Are you hosting Thanksgiving? It will be so special for you and John to have your first Thanksgiving with your granddaughter. Thank you, Loretta! My kitchen gadgets are probably the main reason we haven’t downsized LOL! I will have both of the kiddos for our Thanksgiving this year and it will definitely be a joy with baby Olivia here too. I hope you have a wonderful Thanksgiving Loretta!